Edge is a Catholic youth ministry programme for 10-14 year olds. It provides a safe and fun place for young people to find solid Catholic community, to get answers to their questions about faith, and, most importantly, to experience Jesus in a profound and personal way. Here in Banbury, we have been running a successful joint parish Edge Youth Programme since 2013, and we are always looking for new members! It is a really good way to explore and grow in your faith with other people of your age. Edge nights are fun & interactive and are designed to engage young people in their Catholic Faith. What happens at Edge? Is it for me? Time for small group discussions to enable the youngsters to explore a particular tenet of the Catholic faith. A chance for them to make friends with other young people and feel part of the Parish community. A chance for prayer and reflection at the end of the night. Each Edge night has a specific theme, but contains ice breakers, interactive games, DVD clips…but the best way to experience an Edge Night is to come along and see for yourself! 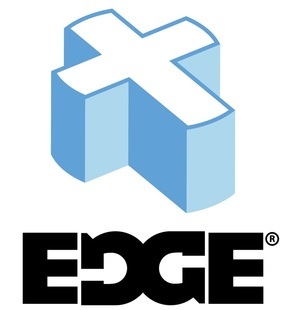 How can I attend an Edge Night? If you're interested, why not come along to our next meeting? Time? 7.00 p.m. - 9.00 p.m.
Our Edge Youth Group also joins the many youth events put on by the Birmingham Catholic Youth Service (BCYS) throughout the year.